For years I thought FAQ meant frequently answered questions! Silly me! Question: When will Windows 8 be released? Question: Will the New UI replace the traditional Start Menu, Desktop and Taskbar. Answer: Yes, the best way forward is to think of the new Metro UI as a giant start button. 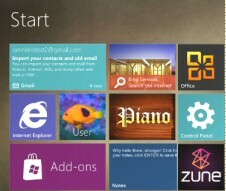 Question: What’s the difference between a Windows 8 Tile and an Icon? Answer: Tiles are not only larger, but also they are capable of display underlying data dynamically, e.g. Weather, Stock Prices. See more on the Metro-style UI. Question: How do you close, or escape from, a Metro-style App? Answer: Hit the Windows key! Technically the App is suspended rather than closed, but no worries, the same thing happens on Smart Phones. Question: What font does Microsoft’s New UI use? Answer: Windows 8 Metro uses fonts from the Segoe family. Question: Will Windows 8 have Media Player? Answer: Yes, no worries Windows 8 will have Media Player. Question: Will the Windows 8 Explorer possess the Office Ribbon? Answer: Yes Explorer has the ribbon. While you can minimise the ribbon, there is no way of going back to the Windows 7 style Explorer. See more on Windows 8 Explorer. Question: Can you get PowerShell instead of cmd in the new Ribbon? Answer: No, but Windows 8 will have PowerShell v 3.0 built-in. Question: Can I run Windows 8 on my existing hardware? Answer: Yes. The hardware requirements are the same, or less, than Windows 7. However, I recommend that you don’t skimp and get at least 4 if not 8 MB of RAM. Question: I hear Microsoft has designed Windows 8 will run on ARM hardware, what if any, are the advantages? Answer: Low cost, and low power consumption make the Advanced RISC Machine chip a compelling choice for a laptop or tablet computer. Question: Is it true that Windows 8 boots in 10 seconds? Answer: Not that fast, but it should boot in less than 30 seconds on most hardware. Windows 8 has perfected the use of hiberfile for rapid awakening from power-off. Question: Can I dual-boot Windows 8 and Windows 7? Answer: Yes provided you create a 40 GB+ partition before you start the Windows 8 install. Question: How do you Shut down Windows 8? Answer: Bring up the 5 ‘Charms’. Click on the top item, Settings, on the right side of the screen seek out the Power button. Question: Is it true there is no Last Known Good in Windows 8? Answer: True, at least in the preview versions so far. See more on Windows 8 Boot. Question: Will Hyper-V support USB drives? Question: With Windows 8 Hyper-V, can you install a 64-bit child OS? (Because Windows Server 2008 did not. Question: Can Windows 8 join a domain. Answer: Yes. Both free standing and Windows 8 in a Hyper-V can join an Active Directory domain. See more on Windows 8 joining a domain. Question: I cannot find taskmgr.exe. What am I doing wrong? Answer: The Windows 8 task manager is now launched from TM.exe. In fact, the whole interface has been revamped; seek out extra tabs such as Startup, also check out the new column arrangement. 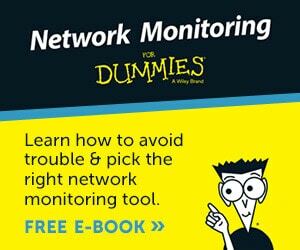 Question: Where is Task Manager’s networking tab? Answer: Information in the network tab has been absorbed by the Performance tab. See more on the Windows 8 Task Manager tabs. Answer: XP’s ‘My Documents’ have been moved to the C:\Users folder. See more here on Windows 8 AppData. Answer: Yes but it may be better to edit the settings of an existing library to incorporate your files. See more on Windows 8 Libraries. Question: Does Windows 8 have a run command? Answer: Yes, WinKey +r works as it did in XP. But please don’t be a Luddite, use Search instead. Question: When was Windows 8 released? Question: When will the pre-beta copy expire? Answer: January 2013, see more about Windows 8 expiry. Question: When will "Blue" A.K.A. Windows 8.1 be released? Answer: October 2013, see more about Windows 8.1 Blue. Please send me your frequently asked question(s) for Windows 8.